The NMUSoA 2nd year exhibition, in collaboration with the Point Discovery Board (www.pointdiscoverycentre.com), presents design proposals for the Point Discovery Interpretation Centre. The interpretation centre has arisen out of recent discoveries made in a cave at Pinnacle Point, which are the earliest findings of modern human behavior, and gives significant insight into our human origins. 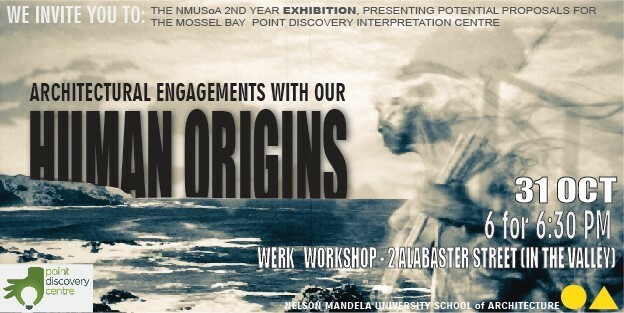 The Architectural Engagement with Our Human Origins Exhibition, will include urban proposals for the Mossel Bay Point and consolidated design proposals for the Interpretation Centre presented through graphic and large scale model mediums. Milde McWilliams Memorial Lecture 2018 presented by Heinrich Wolff and Ilze Wolff. 25 September 2018, South Campus Auditorium, Nelson Mandela University. The first-year on exhibition during the Archive Department exhibition 2013. The work of the first-year students showcased at the 2013 Urban Assembly. 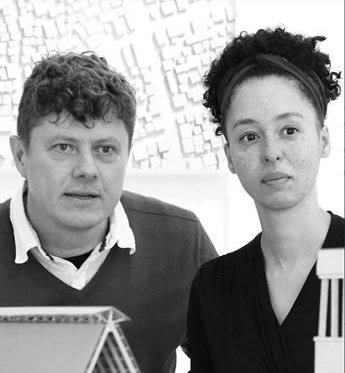 The Department of Architecture has been successfully producing professional architects since the 1970's.